Halloween marks the moment when Lovefilm joins the brand graveyard - but as the world of streaming becomes familiar, the USPs of DVDs and other physical media are becoming clearer, writes the chief executive of MusicMagpie. Amazon’s DVD subscription service, Lovefilm By Post, is coming to an end. So are we witnessing the final days of DVDs? Is anyone still buying CDs? Well, I’d say don’t write them off just yet. We all know online streaming services offers customers real convenience and quality; the ability to download and watch new HD releases in mere seconds has universal appeal. So it's no surprise digital video revenues last year rose 23% to £1.3bn, for the first time overtaking DVDs and Blu-rays, which were down 17% to £893.6m. While stark, this doesn’t mark the end of physical formats. Not when, in the same year, big sellers such as Disney’s Zootopia sold a monumental 2.36 million DVDs. There may be much noise made about the revolutionary new future of entertainment, but physical sales of music, TV shows, films and computer games are still worth £2.2bn annually. And the latest data from Kantar Worldpanel, for the 12 weeks to 24 September, shows that physical entertainent sales were actually up 2.2% year-on-year – the first increase for more than three years (though this was thanks to video game sales offseeting declines in music and video). The decline in sales we’ve witnessed is simply a product of the consumer having more options in how they consume content. Physical media may not be as universally as popular as it once was, but it still has a healthy slice of the entertainment pie. Streaming sites such as Netflix are great of course, but they cannot be compared to the tangible sensation of holding a DVD or Blu-ray in your hands. Physical media just means more to us; it’s a hobby and a passion of many of us and we enjoy the highly emotive experience of touching it, feeling it and displaying it in our homes. Don’t we all remember our first single? Album? Favourite book as a child? Of course we do. And most of us still own them. Parents cling to the classics and pass them on to the next generation, a cultural education handed down on aging disks and yellowing pages. Magic. To assume this nostalgia is a trend seen only among older generations would be wrong. MusicMagpie’s predominantly young, millennial customer base has started seeing the physical media market as a kind of "retro niche". If you love a film, an album, or a book; you want to own a piece of it you can hold, something you can place on your shelf with pride. After all, our DVD shelves and CD racks are an embodiment of who we are, our own personal style, our passions and loves. If you’re shopping for a loved one, you need something to give them - and you can’t gift wrap a download. The increase we see in sales around Christmas proves physical media reigns when it comes to gift giving. Furthermore, DVDs will always make a great babysitter for kids, keeping them entertained on long journeys where Wi-Fi isn’t always there to help us, or roaming charges make streaming utterly unaffordable. For some, physical media is simply better value, with a one-off, cut n’ dry buy. That might be why services offering combinations of physical and digital are rising in popularity. One such example, the Sky Store’s "buy and keep" service – where customers download a film and get a DVD posted out too – grew by an impressive 80% last year. Online streaming was always going to become a dominant force in the entertainment industry, what with the endless possibilities it offers right at your fingertips. Taking advantage of tech, online services can come to understand your viewing and listening habits, and inspire you try something new through relevant, personalised suggestions. But recently, Netflix, Amazon and Spotify have come under fire for the way they do this. Their selections tend to play it safe by favouring recent releases, even those of questionable quality, in the place of older films and tracks – entirely failing to broaden our horizons and introduce us to undiscovered territories. This is, perhaps, one of the reasons we saw HMV re-establishing itself as the king of music retailing in the UK, overtaking online giant Amazon last November. The retailer successfully brought its young audience back into store by offering a space to browse unbiased shelves, along with friendly recommendations from passionate staff, boosted only further by the hipster’s resurrection of vinyl records. That classic music format had a significant moment this month, when Liam Gallagher’s debut solo album achieved a 20-year record for single-week vinyl sales, with 16,000 copies sold. 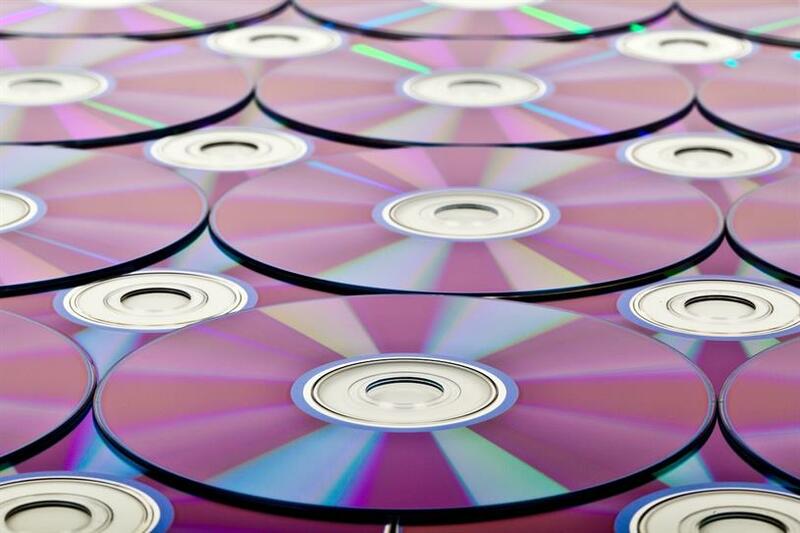 At MusicMagpie, we handle more than 100,000 units of DVDs and CDs daily – showing that there’s still an appetite for physical items. In fact, there is plenty of room for all formats, and it’s not necessarily true that digital is a substitution to physical. In the betting world, the prevalence and popularity of betting apps and websites has not closed every bookie on the high street, but instead, encouraged people to do more activity in that area. Digital can encourage incremental consumption, not substitutional – there isn’t a straight choice between one or the other. The concept of renting DVDs through the post may be a little outdated, but most of us, if we are honest, like to own a physical product. The world of physical media isn’t disappearing, it’s adapting, as all markets do in time. Compulsive content: when Netflix is competing with sleep are we entertaining ourselves to death?